wider, faster & more consistently. Split application can be a great component of the 4R's of nutrients. 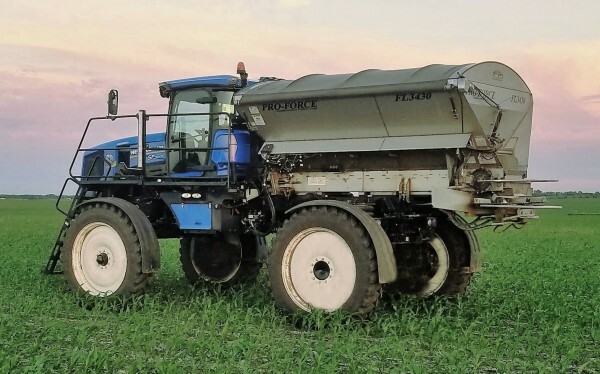 Dividing total nitrogen application into two or more treatments can help enhance nutrient effciency, promote optimum yields & minimize the loss of nutrients. Spread 1 , 2 , 3 , or 4 products with independent variable rate control in one pass. 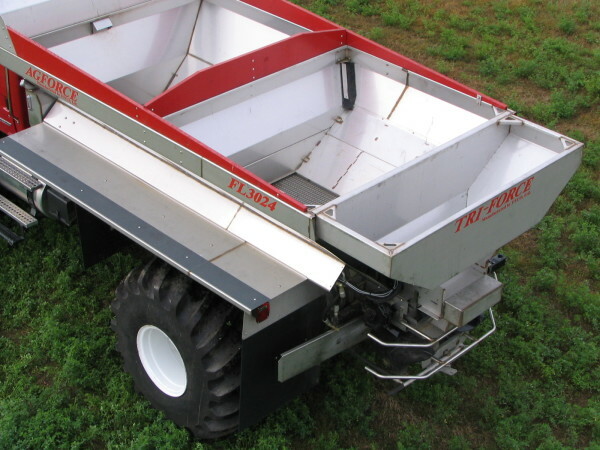 Sidedress nitrogen and spread cover crops, all at the same time using our multi-bin spreaders. 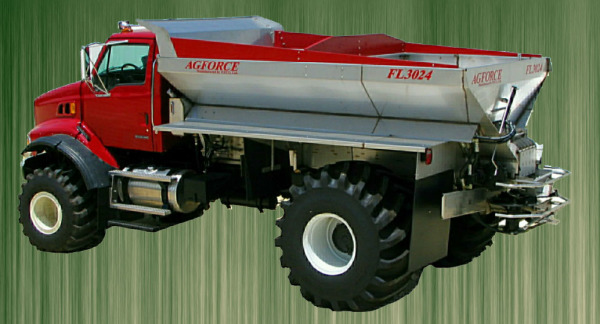 The three product spreader (Tri-Force), 38 cu. 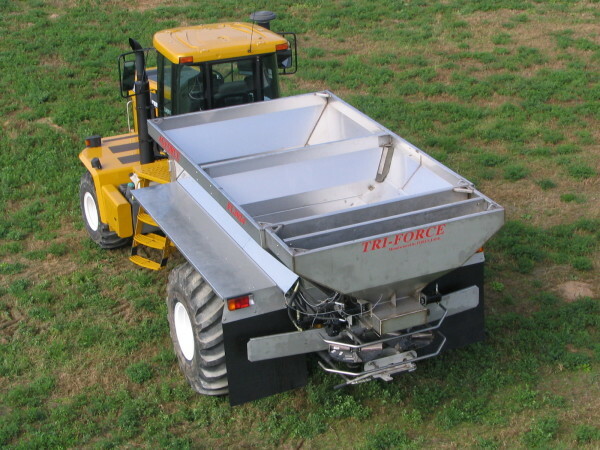 ft. micro nutrient bin allows spreading three products at once. 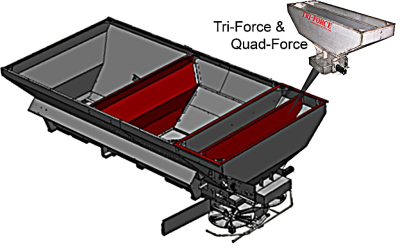 Maximize every trip across the field by converting it into the four product spreader (Quad Force) which allows four product spreading. 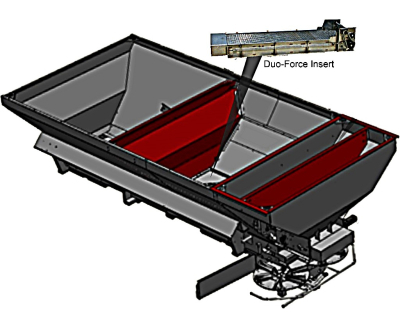 The Duo-Force insert is capable of spreading two products with independent rate control in one pass. The control valves are removed from the "corrosive" rear end. Hydraulic lines are stainless steel. 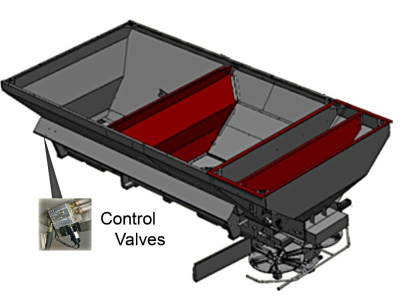 The valve assembly is the most modern and reliable system on the market.